That was not exactly me this evening, but I do look a little like Meryl (!) and this is such a delicious meal I have to post it. I had my son do it-cut the onions, that it. The onions were so pungent we had to clear the kitchen for a spell because you have to basically chop up a whole bag for this! Regular old white onions-nothing fancy. But, the purpose was worth it and we agreed on the trade-off. I would cook the sloppy joes if he would chop the onions. He did. Side dishes would have included onion rings (no panko!) 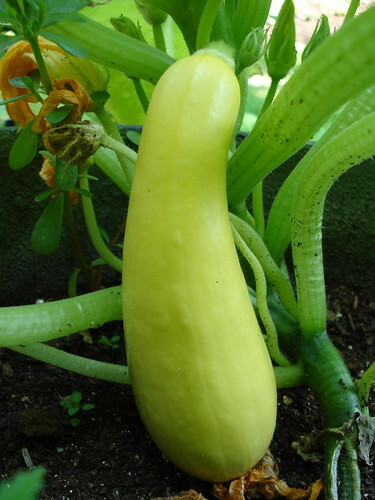 or cooked squash (yellow). The squash won, hands down. I won’t go into a tirade about how good onions are for you, as I have blogging counterparts who can explain this much better-but I will share a delicious recipe involving ground beef, buns/bread, catsup, mustard, ONIONS, squash, salt and pepper, butter(! ), and milk. Sine many dancers are poor, this won’t break the bank. What to do with ground beef and veggies is always on my mind, especially with the choices of foods which are healthy and readily available and affordable being diminished by recession food prices (inflationary) and due in part to people believing that they cannot eat healthily wihtout shopping for health foods at Whole Foods. I still believe many of the old foods are just as good as the new “organic” varieties, and nothing says you cannot buy organic, where it is affordable. But, mince meat, or ground beef as it is called stateside, it still a supplier of nutrients, protein, etc. and many people simply have to make due. My mom believed way more (lots) onions were better in chili, sloppy joe’s and (expletive) on a shingle-a singular poor person’s and military dish (I have heard, also jail). Most people have not tried all of these things. Like wines, there are pairings which may one day prove beneficial in their chemical make-up, but for the time being, they just taste good together and happen to be (mostly) healthy and fairly lowfat, full of good carbs and other nutrients not always found in typical sides. Squashes, maybe ugly, maybe beautiful-depends on how you look at it, but unquestionably, they are healthy! Maybe cooked squash with onions (and sloppy joes) is a southern dish, I don’t know, but my mother was of Scoth-Irish and German/Bohemian descent and not a bit southern. Add a few or different ingredients and this dish is similar to goulash, and like-minded vegetable-based cookseys. The squash of my particular choice is the yellow variety, seasonal but not the teeny tiny ones you see, rather good, healthy largish squashes. Slice them into very thin (nearly/transparent slices, three will serve about 4 people, but you will not be worse for more as it will be popular. All my children come back for seconds, but then, they like their spinach, too! She sliced her onions for this the same way as the squash-maybe half an onion very thinly sliced by hand. Put them in a sauce pot and cover (barely) with water. Salt and pepper to taste-keep tasting as you go. Olive oil can be substituted as well as other seasonings for salt, of course, but I like it this way. When soft, add a decent pat of butter and when ready to serve add a little bit of milk to each bowl which gives a creamy taste but thin and tiny bubbles of butter run through the sauce. Cook thoroughly, for about 45 minutes on medium to high heat-until it is very soft, not mush-and don’t boil it to death. While cooking, brown your ground beef and then add onions (at least four chopped up to about 1.5 to 2 pounds of beef-see video above!). Proportionately onions should nearly match meat. I salt the meat and onions substantially when they are browning (so be prepared to drink plenty of water). Onions should be soft and meat should be slightly browned. Using regular French’s mustard add about a teaspoon per pound of meat to the renderings in the skillet-do not remove meat and onion mixture (create a hole in the center) and stir until hot, then mix meat and onions through it-some like it more tart, add more mustard! When well blended, cook in, browning additionally. Add catsup a little bit at a time to mixture. This could mean an entire small bottle in some houses. Cook it down, add a little water, and cook down again. Each time add more catsup if possible. Maybe three times until gravy is either thickly adhered to the meat or fairly swimming in the sauce, your preference. Let sit 5 minutes and serve on buns or bread. I prefer white bread because the juices soak in. You can use sea salt, but my mother never did. but plain is best! Bon Appetit!